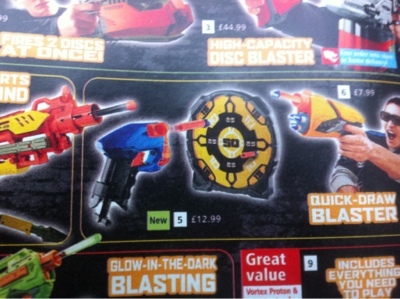 You'll be glad to hear that Britain's favourite nerf blog has finally embrased social media. You can now follow us via our new Facebook page by following this link. 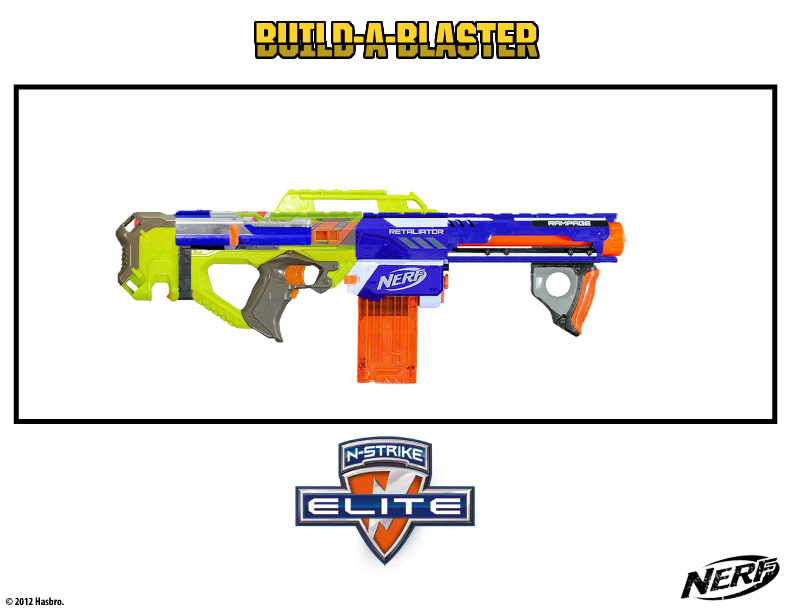 Click 'Like' and get the latest nerf news sent straight to your news feed. It has recently been brought to my attention that some nerfers larp, and some larpers nerf, but there are also those that combine the two to create a great deal of nerfy larpyness. This is of great interest to me. I enjoy running around with nerf blasters, but I've never done it in character and with a greater purpose in mind. For some people, this is what they call 'Saturday'. It's cold, it's raining, you're at work/school and you're bored. "If only I could modify a blaster" I hear you say. 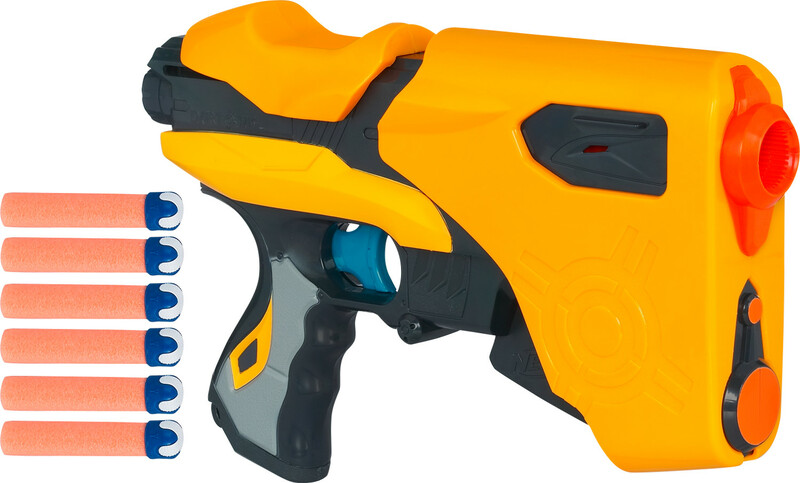 Well, with this great little game from Hasbro, you can make the most awesom-ist blaster you have ever seen without even raising a screwdriver. Build-A-Blaster is a simple game whereby you can build your own 'Frankenstein' blaster from parts of other favourites from the N-Strike, Elite, Vortex and Dart Tag lines. Have a go yourself and see what you can come up with. Burntcustard made one as well!.. After sending us several reviews, we are pleased to announce that MerryUnBirthday will now be a perminent author for UK Nerf. We hope to see many more of his witty reviews and his unique look at Nerf blasters. If you'd like to see your article published, go to the Submittions page and follow the information there. 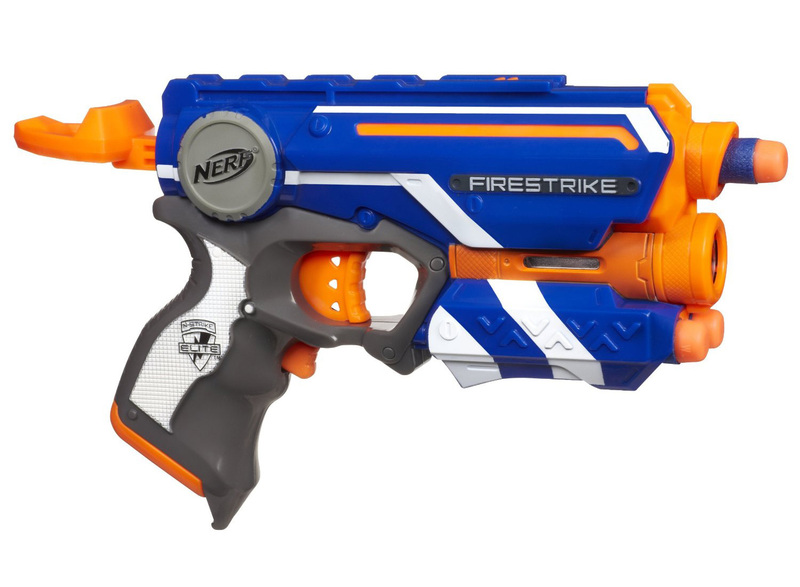 MerryUnBirthday is back again with his review of the Nerf N-Strike Elite Firestrike. I apologise on his behalf if he sneezes on you. Nerf Dart Tag Speedload 6, Why it's Good. Admit it. 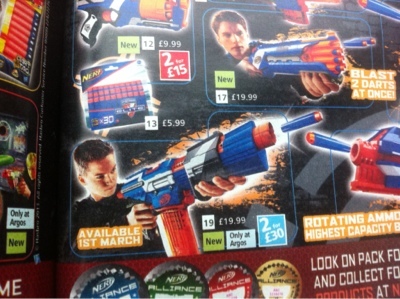 You'd forgotten about the Dart Tag line hadn't you? I can't blame you. 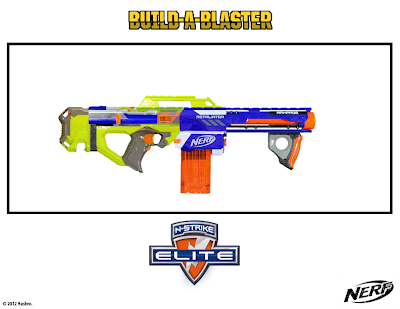 In the midst of 'Elite Fever' it's easy to forget about these highly specialised blasters. The range never really caught on due to the blasters poor performance and generally unweildy nature. They didn't perform as poorly or come as unweildy as the Speedload 6. It looks like a pistol but weighs the same as a small moon. Almost everyone hates the Speedload 6 so imagine my surprise when I find someone who loves it. I just had to ask him to review it. I wanted to know what he saw that I had missed. 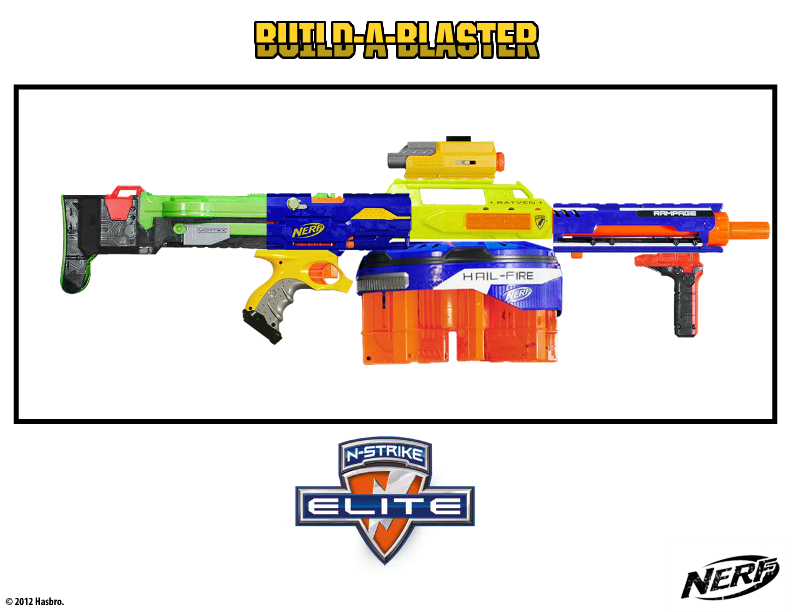 One of the Nerf community's favourite blasters getting the Elite treatment?